I wanted to update you on the goings on in my business and labor of <3. I want my dealings to be transparent, it's important to me that my customers, clients and students understand that I'm giving you all I'm capable of. Things are growing rapidly and as things develop my schedule tightens and my responsibility to myself and to you grows. Here are some things to keep in mind: 1) My business grows because of you. When you like and share my posts, photos and events on social media that helps my business grow. When you refer clients/students that's a Huge boost for the healing work we do. Your reviews on yelp, google and the like are 21st century word of mouth and I appreciate your time. Thank you for your continued support. 2) My fees for Thai massage sessions go to $160.00/session on March 1st. These sessions are 2 hours minimum. 3) Classes for Thai massage are growing and I will be traveling in coming months to work with students in other cities in TX so my availability is limited. 4) I’m working on numerous projects to allow you to get work at a reduced fee. I have general pain clinics coming and also some for specific issues like migraines and chronic headaches. In addition I’m having short weekly classes teaching Thai massage at Blue Honey Yoga in addition to the Free Thai massage jam. 5) If you need inexpensive education there’s the previously mentioned Thai massage jam, a Free Intro. 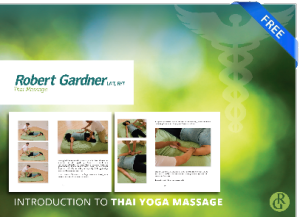 to Thai massage workbook, a soon to be 140+ page Table Thai workbook and videos of the Intro. to Thai massage class available for download for $29.99 My youtube videos are full of info and are also free. My utmost concern is serving the public and making sure you can get the bodywork you need. I cannot provide that if I’m overworked. I need time to rest, time for yoga and time with my family. I’m my own boss so any healthcare (no Real health insurance at the moment), retirement, mortgage, debt etc. falls on me. I can only honestly and impeccably provide 20 hours or so of hands on Thai massage sessions in a week. It’s unreasonable to ask my body for more than that and that’s why session fees must go up. I communicate extensively though social media. If you have questions related to health and bodywork issues let me know. I provide information for free constantly. I love educating people but must charge for my labor.